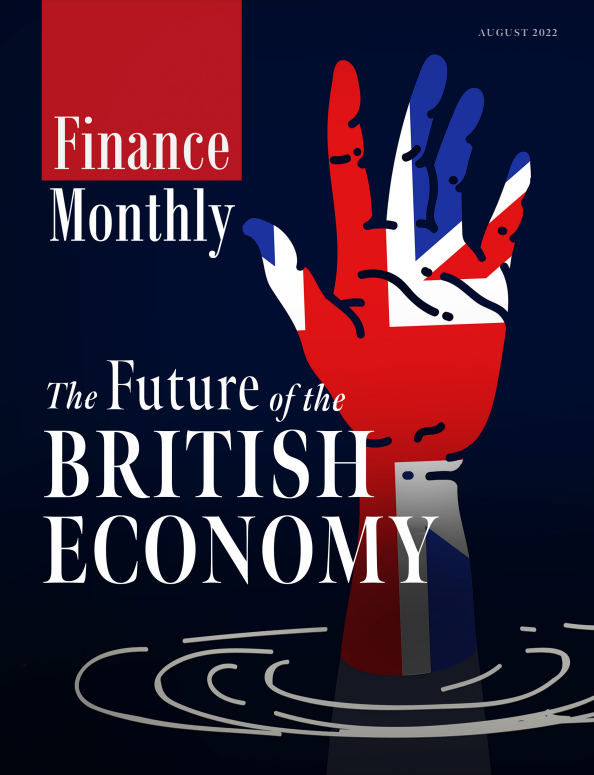 As part of our Expert Insight feature, this month Finance Monthly looks at Construction in the UK, by speaking to Ciara Gormley, Partner at architectural practice PDP London. What have been the trends in the construction sector in the UK in the past twelve months? The UK construction industry has certainly been on a bit of a roller coaster ride over the last 12 months. Unpredictability due to the cooling off of the prime residential market, because of political uncertainty, and an over-supply in some central London locations, has directed developers and funders to diversify their approach to gaining returns from property. The UK’s controversial housing shortage at the other, more affordable, end of the market has therefore benefitted from a more focussed response, with developers shifting to seek long-term assets rather than an immediate capital return. 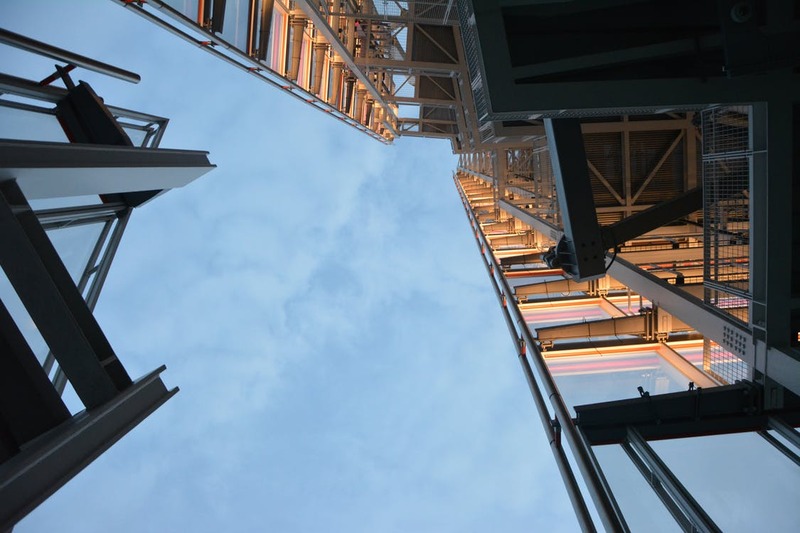 The resultant financial constraints, reduced building programmes, the need for accuracy, speed and the requisite environmental standards have encouraged the development of innovation in off-site construction. Also there has been the emergence of the Private Rental (PRS) or ‘build to rent’ Sectors based on successful US models. This ‘build to rent’ sector is starting its own trend, looking like it is set to spiral, as the market seeks ways to maximise future returns and cater for the future of ‘generation rent’ as their requirements grow from that of graduates to family living – in itself redefining the meaning of ‘lifetime homes’. What are some of the key issues that your clients face in relation to UK construction and real estate laws and regulations? Political unpredictability is one thing, but the process of navigating the complex Planning systems and local government is still increasingly arduous. Legislation has not quite caught up with these emerging market trends with the level of detail required for planning applications growing and growing and developers having to negotiate heavily to achieve their long-term ideals. The change of political emphasis, especially in central London has generated stricter obligations to supply ‘affordable’ housing in large developments with a starting gambit of 50% of the total numbers. This is generally on extremely expensive land which made the viability of development, especially at the prime level, very difficult. Health and Safety awareness during the design and construction phases has vastly improved over the last two decades. Contractors and site personnel have benefitted from safer sites with improved working conditions which, apart from the dramatic decrease in site injuries, have aslo improved the finished product for the clients. The increased client and designer responsibilities in this process have enabled us (And other architects) to provide an additional service to monitor and manage these processes through the design stages. Recent incidents and tragedies have raised society’s awareness of the contribution the built environment makes to our health, security and well-being. All stakeholders, whether they are legislators, developers, consultants, contractors, suppliers building users, have their part to play in the process to deliver the places in which we deserve and want to live, work and play. What environmental regulations exist in the UK that construction companies and investors must be aware of prior to embarking on a project? Although the Government appears to be moving to a lesser standard of zero carbon, especially where homes are concerned, larger developers are still extolling the benefits of developing buildings that are energy efficient, flexible and comfortable over the buildings life. 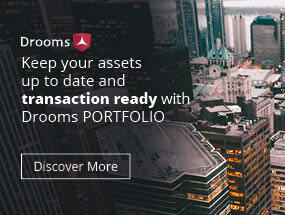 In sectors where the market is flooded with new build product and developers and asset managers are holding onto their assets rather than selling, a good EPC and BREEAM rating on a commercial property for example, means better rental prospects on completion. Schemes such as Considerate Contractors continue to encourage the contractor to actively plan their waste management into their working processes, this works well alongside assessment tools such as BREEAM and LEED. The absorption of previously stand-alone energy saving initiatives into the building regulations, has increased standards globally, benefiting building design from a fabric and systems point of view. PDP London has always taken an intuitive and passive design fabric-first, holistic approach to sustainable design (rather than the box ticking approach) which has proven to benefit both client and end user in the longer term. Large multinational institutions are still driving their own standard upwards, expecting commercial standards like ‘The Well Standard’ to sit alongside BREEAM and LEED as a minimum. The London Plan pushes minimum space standards and amenity sizes in residential design which has had its impact on returns and affordability over a number of years. Whilst they have their benefit, especially in family housing, these are also currently being challenged. The new rental models create a paradigm shift in size of personal demise in lieu of more communal facilities. In light of Brexit, what incentives are in place to encourage foreign participation in the construction sector in UK? The UK Government seems to still have a lack of understanding of how to encourage inward investment in development, or at least it is slow to legislate for the market trends. There are very few incentives for inward investment into property, save the quality of product that is available in the UK and the quality of service from experienced construction professionals. This is definitely a missed opportunity. Indeed, the exit from Europe will further exacerbate the labour shortage and many professionals and consultants will also suffer from the subsequent ‘brain drain’. We are hoping the government will embrace strategies and legislate to help counter the effects of this. Innovation and flexibility seem to be the only answer in a fluctuating market and professional bodies are trying to find mechanisms to deal with this and hold onto years of experience. What mechanisms do you use when identifying risks and opportunities in the early development process of projects? We find it is useful to set clear objectives and engage with the team from the inception of the project. Clear communication and building team trust is something we focus on from the outset. Including the client in these discussions to identify opportunities is vital and helps to forge a shared understanding whilst developing the brief in alignment with the client’s objectives. We tend to run specific and focussed Risk Workshops at regular intervals. We use active documents as management tools and run a ’risks and opportunities register’ that is tracked throughout the project, ideally reviewed at each design team meeting. This allows each member of the team to feed their own risks per discipline into this process and share the understanding of mitigation strategies as they emerge. How has technology changed the architecture sector in recent years? With the emergence of BIM as the mainstream tool for communicating drawn information, the way the industry produces and shares information has changed markedly. The detail, level of engagement and decision making that is required at early stages has impacted project planning tools and the level of expected detail, including the level of manpower at early stages in the design process. As a practice, we have fully embraced the benefits of BIM, yet the long-term impact of this in the industry is unknown. Certainly, it is a positive advancement for the integration of the different disciplines and in the light of a burgeoning off-site construction market with the factory finish precision that it requires, it feeds well into such a process. It terms of quality and uniqueness in the built environment it may not be just as practical or intuitive when working on existing buildings for example, as it relies on a lot of ’known’ information, before even getting to site. As we know, existing buildings are all about the ‘known unknowns’ and how we can use our skills to respond to this when we get to site. That said, the advancement in software to find solutions for problems such as thermal modelling has also increased the amount of ‘knowns’ about the fabric before stripping out! The availability of 3d building scan surveys and point cloud surveys mean that photorealistic building information is available in the early days of the design process, driving the level of required accuracy far beyond that required at early stage design. In this instance having a balanced view as to the appropriate use of technology and its benefits for the client is of utmost importance. Can you tell us about the current projects that PDP London is working on? We are best known for our multi award winning Duke of York’s Square, on the King’s road, home of the Saatchi gallery, which represents 10 years of our work. The master planning, detailed design and delivery of this new London square demonstrates our approach to the adaptive reuse of buildings in this underutilised, former military campus to create a mixed use, retail and residential Quarter within a historic setting. We continue to develop our master planning and residential expertise applying well-honed high-end skills to other emerging areas of residential design such as PRS, Build to Rent and innovative residential housing models, which combine with the fundamentals of good place-making. PDP London is currently working on proposals for the rebirth of the so-called “In and Out” Club, housed within a magnificent Grade I Listed Georgian building, 94 Piccadilly. Previously a residence for the aristocracy, a prime minister and a major London institution, the property has played a key role in London society over the last 150 years. The proposals combine the grandeur of a Georgian palace, with outstanding levels of service and luxurious design, and will offer a unique combination of style and facilities in the heart of central London. We are also working on a luxury development on Dovehouse Street, located just off the famous King’s Road in Chelsea, to provide 55 high-quality extra-care units which cater for older residents, whilst also significantly improving the relationship with the local context, repairing the townscape and enhancing the public realm. The scheme comprises the demolition of all existing buildings at 2 Dovehouse Street and redevelopment of the site by reinstating the historical figure-ground. Another major project in the office, Phase 1 of the Earls Court masterplan, Lillie Square, is almost complete and now sold out, with only a few penthouses remaining, making it one of the fastest selling London developments. The 3 hectare site is the first of the Capco sites to be implemented within the Earls Court, West Brompton and West Kensington masterplan designed by Terry Farrell. PDP London has also recently completed the prestigious conversion of a Grade II Listed building, The Star and Garter, into 86 residential apartments. An important and prominent landmark, the building is located at the top of Richmond Hill in the Richmond Conservation Area and overlooks the Thames, with the only view in the UK protected by an Act of Parliament. What have been some of PDP London’s major achievements in the past few years? Working internationally on developments and masterplans for city quarters in Russia, Azerbaijan, Italy, China, and now Canada, taking the British / London brand worldwide. One of our strategies has always been to build roles around special people. When an individual has a particular passion, skill or knowledge base, it is crucial to help them to fulfil that passion and let them work to their strengths. We feel it is vital that everyone is afforded the space and support to express themselves, unlocking the best of their potential. It is this commitment to the development (both personal and professional) of the 120 people who work with us, and an appreciation of the uniquely varied skills that they bring to the mix, that makes PDP London a great practice and one that is able to consistently produce exceptional quality design. Whether designing super-prime residential in exclusive central London locations, or student study rooms in refurbished Listed buildings, we endeavour to engage, support and re-energise the places and communities where we work, wherever they are, preserving and enhancing the best of the contextual heritage. We continue to develop and foster our great team, working with the best people in their respective fields, to allow us to design, create and provide buildings, places and experiences that people enjoy. PDP London’s portfolio is emblematic of outward facing, exciting, progressive and design-orientated architecture, which is firmly rooted in quality and excellence. The practice was formed almost 25 years ago, by a small group wishing to push the boundaries and bring some fresh thinking to the approach of their clients – to encourage them to think of the process of place making rather than simply “building”. The practice has grown to be 120-strong, and has built a reputation working on some of the most high profile properties at the most impeccable addresses in central London. PDP London has developed and honed their expertise in delivering both contemporary buildings and sensitive restorations of fine historic and vernacular buildings, in prestigious, unique and historic settings. With a thoughtfulness and an inherent understanding of traditional values and architectural heritage alongside a desire to create world class architecture, PDP London has been pivotal in shaping the built landscape and public realm both in London and further afield. From designing exquisite hotels at Park Lane and Piccadilly to designing and shaping a new, sustainable community in Belfast, our emphasis is on designing great places to live, work and play – making a real and sustained contribution to the future of our built heritage. Continuing our success in the prime residential market, PDP London has evolved to export this brand of architecture internationally. Starting by working with Grosvenor to re-envision the ethos and quality of the London residential brand in Hong Kong, Mainland China and Japan, this has grown to a 25 strong Hong Kong base working as far afield as Canada. Ciara has spent the last 2 years leading a large team on the Chelsea masterplan development, a mixed-use masterplan enabling development that is to release value on six sites in the ownership of the Royal Brompton and Harefield Hospital Trust. This is to deliver a new state of the art heart and lung hospital, just consented. This varied site includes mixed use, public realm, retail and high end residential as well as the hospital buildings. Ciara is the partner instrumental in designing and delivering a scheme for 70 zero-carbon homes and a new sustainable community at Killynure Green, Carryduff, N. Ireland. The scheme was the result of an anonymous international competition and phase one recently completed creates 39 new homes for social use arranged around a series of vibrant landscaped spaces. Ciara joined the practice to lead the residential component of Duke of York Square masterplan development completed in 2008 and has since concentrated her interests on the integration of the low and zero carbon brief into prime residential developments, and in this capacity she has been key to ensuring sustainability is integral in all PDP London’s design work, culminating in PDP being awarded AJ’s Sustainable Practice of the Year in 2012. Since 2009 Ciara has led the PDP London Dolphin Square portfolio, delivering their aspiration to provide significant places for Londoners and specifically key workers to live. The launch of their ‘Dolphin Living’ brand and the completion of their first new build rental development at One Church Square was the culmination of 3 years of this work. Before joining PDP London in 2005 Ciara gained experience in both large and small housing schemes from problematic estates to private one off dwellings and hotels in both the UK and Ireland. Ciara studied Architecture in Liverpool and Edinburgh, and qualified as an Architect in 1998. Ciara has also been an external examiner at Westminster and Brighton Universities’ RIBA Part III courses and is actively involved in promoting the practice’s sustainable portfolio lecturing in the UK and abroad.